We as humans have been exploiting the world that we live in for several centuries now. Today, our environment is in desperate need of saving. Across the world, trees are being cut down at an alarming rate and natural resources are being depleted faster than we can find sufficient alternatives. Saving our environment is the most significant need of the hour, and we have to do everything possible to ensure that this world continues to be a habitable place for not just humans, but all plant and animal life. For that to happen, we need to stop depending on trees for resources & raw materials and start adopting alternative methods and solutions. One of the easiest things to do — one that has a substantial effect on our surroundings — is to cut down on the use of paper in our lives. While humanity has utilized paper for thousands of years, its demand and consumption has skyrocketed in recent times. As we move closer towards a fully digital age, we can start adopting various tools, services, and processes to lower our dependence on physical paper. Going digital doesn’t just help the environment, it also helps us be more productive, and at the same time, helps us track the progress of our work over time. There are many different ways in which we can reduce the use of paper in our day-to-day lives. Since a significant part of our day is spent in the office, moving the most commonly used paper-based processes to a digital format makes the most sense. Although we have a choice of different file formats such as .txt, .docx, .rtf, etc. that are commonly used by many people, it’s the PDF file format that offers the most advantageous set of features and compatibility options for this purpose. If you are wondering how to achieve a paperless office, adopting the PDF format in your office processes is the fastest and easiest route to take. Read on to learn about the 5 best ways to get closer to achieving a paperless office. Before you start restructuring how things happen in your office, take a step back to first plan everything out. You will only achieve a paperless office if everyone in the office gets involved and each employee does their part with full efforts. Going paperless in an office is a team effort, and to ensure this, you should take the help of your HR department. The HR department is known to carry out various team-building exercises and other activities, so that’s where you should begin. Sit down with your HR team and strategize ways in which you can create awareness about the advantage of using PDFs instead of paper printouts. Enact rules and guidelines that discourage the use of paper for unnecessary tasks, such as internal memos, receipts, etc. and recommend the use of PDFs that are compatible across different devices and offer many advantages. It’s only when employees in the office fully understand and accept the need for going paperless that you’ll start taking the steps towards a paperless office. 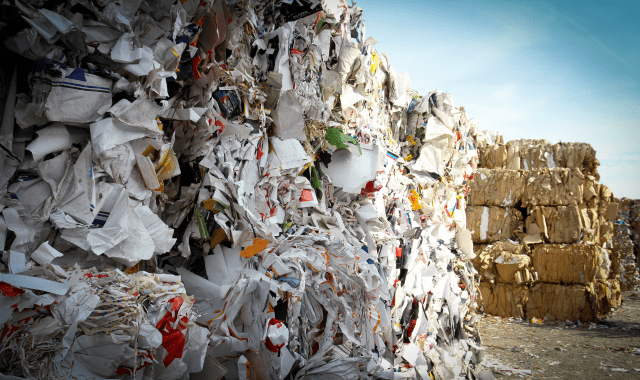 One of the first and foremost steps to undertake in your journey towards achieving a paperless office is figuring out all the places where paper is unnecessarily wasted. Now you could fit pretty much all use of paper into this, but these are primarily cases where the use of paper can be very easily avoided. Some of the most obvious examples of this include printing out office memos or notices and distributing them to everyone. Many offices choose to print out announcements and notices that are only available for viewing for a few hours. These printouts always end up in the trash can at the end of the day, and can easily be replaced by digital signages and notice boards for employees. Once you have eliminated these obvious examples of unnecessary paper wastage, you can then move onto the bigger restructuring goals. Many modern-day offices that have been operational for several years have a humongous collection of old records that are stored in files. 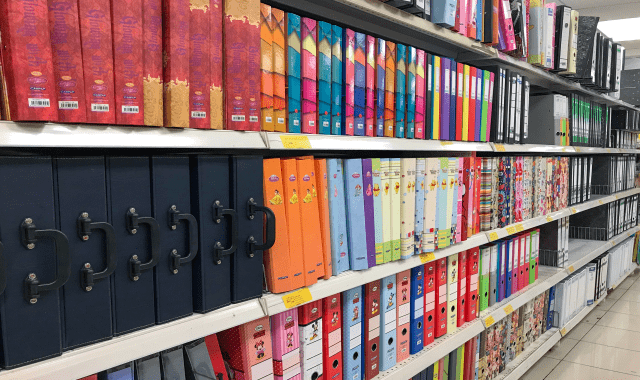 In a lot of cases, offices have dedicated store-rooms filled with filing cabinets to hold onto these files. These files contain essential internal records, statements, and memos that need to be preserved, but since they’re internal records, there’s really no reason that they need to exist on physical paper. You can eliminate large stacks of these old files by scanning all the papers using apps like Scanner Pro and storing them as PDF documents instead. PDF documents don’t just cost less for storage, they also don’t take any physical space, and so you can free up an entire room for other uses. 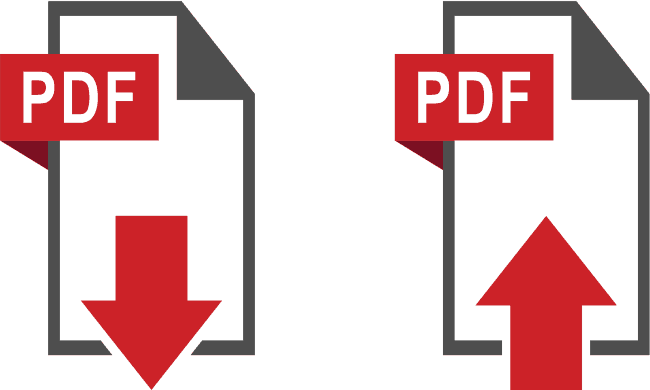 The PDF format also allows you to easily merge two or more PDFs into a single document file, so with apps like PDF Expert for Mac or Adobe Acrobat on Windows, you can combine multiple scanned papers into a PDF that you can rename and store however you want. This saves you the hassles of creating and storing multiple PDF files from the yester years. 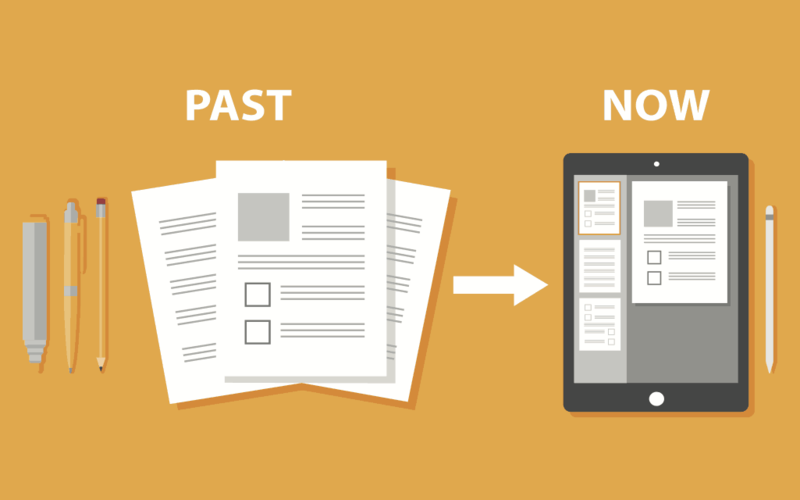 When you convert old documents into PDFs, you also enable the possibility of quickly searching through the entire archive and finding precisely what you’re looking for by taking full advantage of the searchable and indexable nature of the PDF file format. The most common use of paper in an office is when it comes to financial processes. Things like bills, receipts, invoices, tax forms, etc. are all commonly and frequently used in an office environment. Most of these documents are only used to collect specific information from employees, or to keep records of particular activities. Unfortunately, in doing so, there are a lot of overheads that are created. Different departments often take and store copies of these documents for their own records, before submitting it to the finance department. Many employees take multiple copies of tax forms to ensure they get it right. You can easily get rid of all this paper wastage by utilizing PDFs in the process. PDFs are a great way to distribute and exchange information between parties, and can also be used as forms to collect data from employees. With PDFs, you can ask employees to sign documents digitally by adding signatures to PDFs. As more number of employees embrace the PDF file format, the use of paper in your office is reduced, and you get closer to achieving a paperless office. All the efforts that you have put into creating awareness about paper wastage and lowering the use of paper in day-to-day processes in your office with the use of the PDF file format are wasted if your employees don’t have the best apps to work with PDFs. The PDF format is such a versatile file format that you need the best PDF app to take full advantage of it. Although there are several free PDF apps available on the internet today, there are few that are capable enough to rise to the powerful features offered by PDF Expert — the best PDF editor app out there. PDF Expert is available for Mac, iPhone, and iPad devices and provides an impressive set of features for all kinds of work. 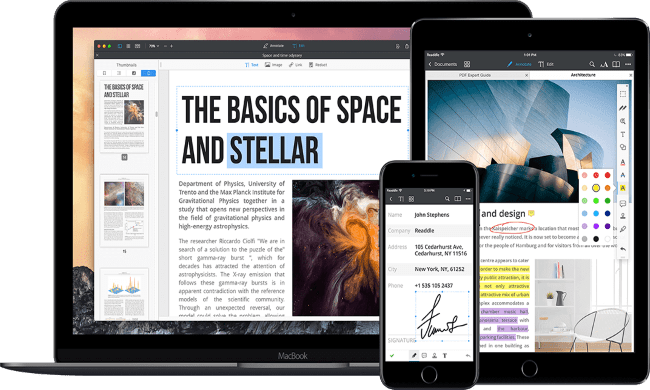 What better motivation for your employees to start using PDFs in their work than to equip them with the best PDF editor for Mac and iOS. With these five methods explained above, you can reduce the amount of paper wasted in your office and motivate your employees to embrace the PDF file format, and ultimately get closer to achieving a truly paperless office.